Malaysia is truly a food haven country. Due to the diverse ethnicities, it has a variety of traditional, modern and mixed cuisines. But every state of the country have their very own signature dishes as well as famous places to dine which becomes one of the attractions for the tourists to look forward to. Today, we are going to look at Ipoh – the capital city of Perak state which is one of the largest states in the country. 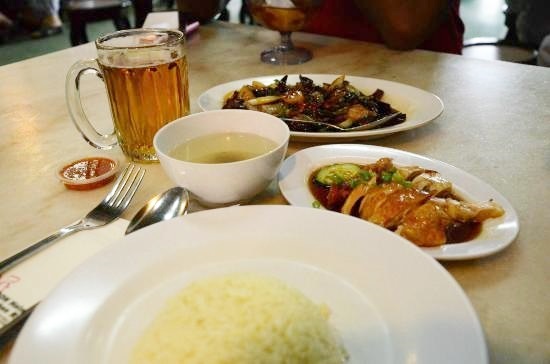 Other than being voted as one of the best places to live at after retirement by US News, Ipoh is also one of the best states with a lot of great food to eat. 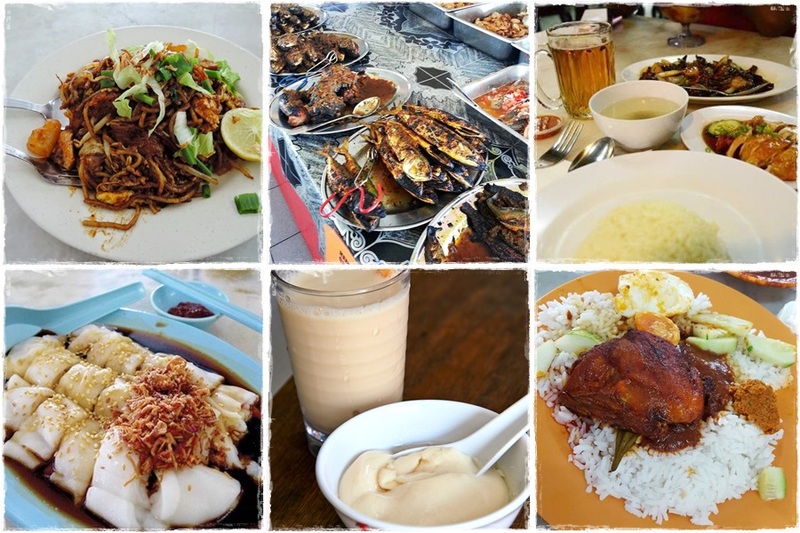 Here are the 6 most famous places to eat in Ipoh! *Note: All of the places mentioned below are Muslim-friendly with halal certification. 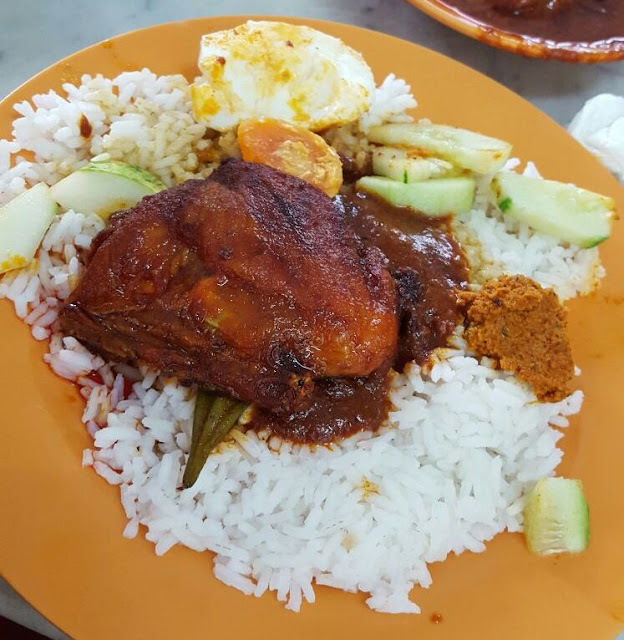 Known for its deliciously appetizing nasi ganja (AKA nasi kandar), Restoran Nasi Vanggey is one of the must-dine places in Ipoh that are famous among Malays, Chinese, Indians and even tourists. The first ever Vanggey stall is located inside Yong Suan coffeeshop and has been there since 1955. The origin of the name is actually quite funny. The food stall is called “Vanggey” because it is a Tamil word which means “come”. Back when the shop first opened, it received competition from a neighbouring nasi kandar stall as both of the stalls sold almost the same kind of food. So, to attract customers into their shop, the two competitors shouted, “Vanggey, vanggey, vanggey” to get the attention of potential customers. In the end, one of the shops got more famous than the other, thus the less popular one had to close down, and the one that remains is the Vanggey restaurant that exists today. Restoran Nasi Vanggey currently has a few branches in Perak (Greentown, Station 18, Seri Iskandar, Manjung, Meru and more), and one in Shah Alam, with plans to franchise more branches all over Malaysia in the future. Its signature dish is the famous Nasi Vanggey which comprises of white rice, cucumber slices, spicy fried chicken, salted egg, coconut sambal and curry. This place might look like a typical Chinese coffee shop, but the main difference seen in this Chinese coffee shop is that most of its patrons are Malays. Why? Because this place serves halal food! Also, it’s not like the hawkers there are all Malays or Chinese muslims (there are Malay hawkers there) as most of them are Chinese hawkers who each have a halal certificate for their stalls. According to the owner Chan Jit Keong, the place is halal because in 1978, the late Sultan Idris Iskandar Shah II patronised the place after one of his frequent walks in the area and then became a regular customer. Since then, other members of the royal family and the former Perak Menteri Besar Tan Sri Ramli Ngah Talib also became regular patron, says The Rakyat Post. The shop has been in business for over 30 years and the place is always 'full house'. Restoran New Hollywood opens in the morning until the afternoon, and at night the hawker centre next to it, which is known as Vegas Restaurant will start operating. With the same concept, Vegas Restaurant is also a place that serves halal Chinese food. 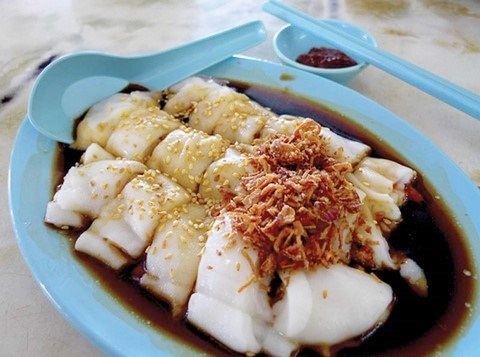 New Hollywood is famous for its Hong Kong chee cheong fun (ride noodle roll) while Vegas Restaurant is known for its koay teow soup with steamed chicken. Believe it or not, this place serves the BEST tau fu fah (sweet tofu pudding) and soybean milk in Malaysia! Seriously, Funny Mountain’s tau fu fah is so legendary; its actually one of the frequent stops for tourists to visit. The texture of the tau fu fah is extremely soft and silky – it literally melts in your mouth, effortlessly. Even the soybean drink is absolutely refreshing and it is a great drink to quench your thirst on a hot day! The shop opened 60 years ago and until today, it always haa a long queue of people as well as cars waiting in front of the shop. 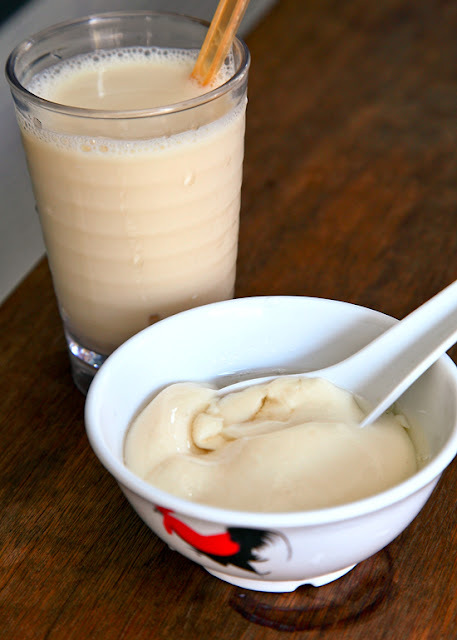 What’s cool about the shop is that it opens at 10:30AM and closes right after their drinks and desserts are all sold out – meaning that every day, the shop’s tau fu fah and soybean milk will always go out of stock! Not only that, Funny Mountain is the first tau fu fah stall to actually have a drive-through service. So if you don’t want to line-up under the scorching hot sun, you can always wait and chill inside your car, as one of the workers will bring your order all the way to your vehicle. This is another place to eat in Ipoh where you will find plenty of people cornering the place. At first, Cathay Mee Stall might seem like a typical Indian coffee shop, but once the peak hours arrive, you will see a long line of people queueing up to buy the renowned Indian fried noodle and pasembur. Operating for more than 30 years, the shop opens daily (except for Sundays) from 11am to 8pm, but it would be best to come before or after lunch hours as there will be no end to the long line during that time frame. Also, sometimes the food will finish sooner than you you know it, so it would be best to be there by 6pm latest. Obviously, the signature dish is the mee goreng (fried noodle) and the pasembur, but other forms of fried noodle, like koay teow goreng and bihun goreng or maybe its mee rebus are also recommended. Despite having a huge space, the place is always full-house! Serving a variety of ikan bakar (charcoal-grilled fish), from pomfret to tilapia, to mackerel, sawfish and more, this place is definitely the place to have some fresh fishes! Other than that, the place also serves some of the best Malay kampong dishes such as tempoyak, ulam, sambal belacan, pekasam, and more. Like every other Malay food stall, the place is self-service but the difference is that there is a whole lot of dishes to choose from! There could be four or five different kind of dishes for the same type of food category, for example, fried chicken, chicken soup, curry chicken, chicken cooked with soy sauce, grilled chicken and many more! 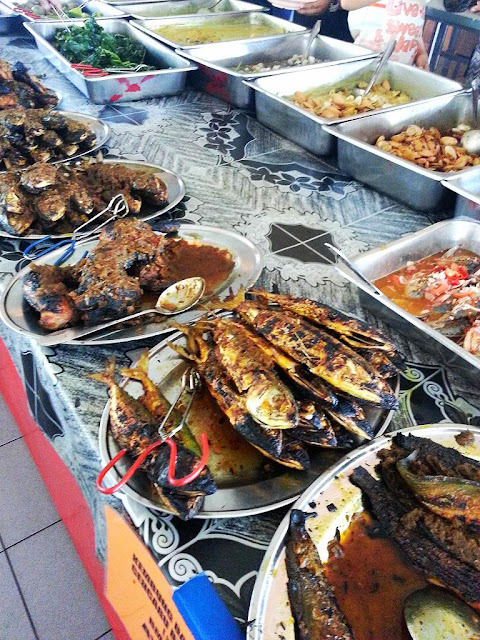 Though the signature dish here is the ikan bakar, the gulai tempoyak and sambal tempoyak are also highly recommended. Many may already know, but Ipoh is quite famous for its chicken rice – be it roasted chicken rice, beansprout chicken rice, Hainanese chicken rice, butter chicken rice and more. Almost all of them are found in Ipoh, but today we are going to look at one of the best and famous in Ipoh which is the Hainan Chicken Rice. One of the reasons why this eatery is famous throughout Ipoh is because – it is halal! You can’t find a lot of nice authentic Chinese Hainan chicken rice shop that is halal and delicious at the same time, so this shop is one of the better ones that are available and appropriate for the Muslim folks. Although the shop serves both roasted and steamed chicken rice, the steamed ones are more well-received by the patrons as it is always out of stock. But that doesn’t mean that the roasted chicken rice is not nice, it is just as equally nice, it’s just that since the name of the shop itself is called Hainan chicken rice, and Hainanese chicken rice is meant to be steamed. The shop also serves a variety of other side dishes as well as other varieties of chicken other than the roasted and steamed. Also, the deep fried tofu with oyster sauce is highly recommended!